Have you spent time and money buying the perfect gift? And now you have no idea how to gift wrap it in a presentable way. That's why we are here. We take gift wrapping and personalisation to the next level to help you make a lasting impression. Your gifts will be beautifully and skilfully wrapped to suit the occasion, and do wonders to your reputation. Make your gifts look really gorgeous with a designer touch. 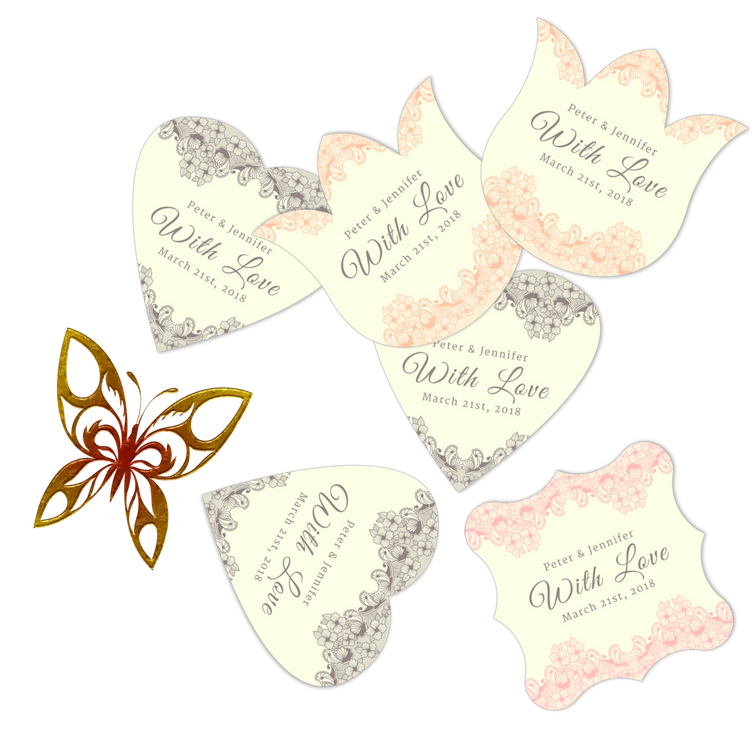 Print and cut out these 30 FREE exquisite gift tag designs, and tie the tags to your gifts with a matching ribbon. Browse our collection of gift tags, stickers and other stationery to personalise your gifts and send greetings to people special to you. Learn more about and use the price calculator to get a quote for our gift wrapping, favor styling and gift basket hamper making services.